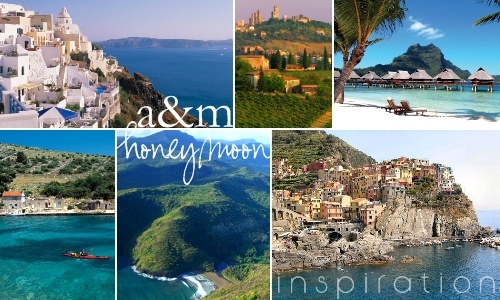 we are currently in the process of lots + lots of honeymoon research. we have so many ideas, and not much experience. currently thinking europe rather than the carribbean or someplace even more exotic, but nothing is off limits for now. another thing: to cruise or not to cruise? i'd love to hear any input or experiences.